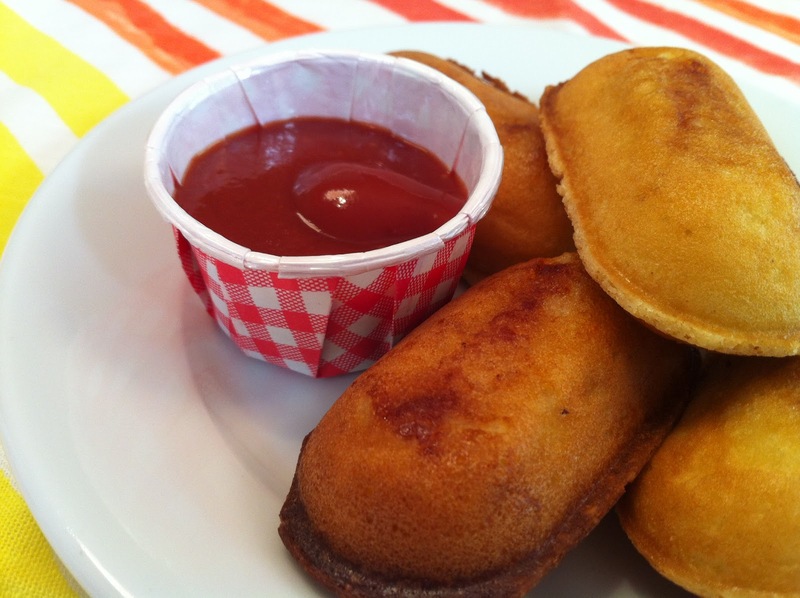 corn dogs | what is clara eating today? These are great to take to theme parks and zoos. Since they usually sell corn dogs, I buy corn dogs for Ellen (she’s allergic to nuts, so she cannot eat these) and have these for Clara. Whip egg and cream well. Mix almond flour, salt, baking powder, and Splenda well. Mix into egg/cream mixture. For five of the cavities of a corn dog (appetizer) maker, pour 1/2T of the batter each. Place the beef frank pieces then top with the rest of the batter. Cook for 4-5 minutes (each machine is different). Posted in lunch, snacks, something fun! What kind of mold did you use to make these? but it was $25 when i bought it. i’m sure you can look for alternatives… i think cake pop makers might work as well. just smaller.